Genuine OEM Lexmark Toner Cartridge, Yellow 6,000 page yield. 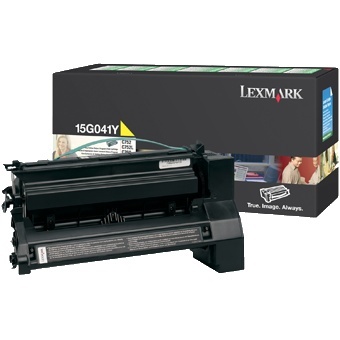 Lexmark part number: 15G041Y, 15G031Y. Color Laser Toner Cartridge compatible with Lexmark C752, C760, C762, X752, X762.